Looking for deals in Fortaleza? Located 2.7 miles from Mucuripe Fish Market, Ecco Hotel Fortaleza in Fortaleza provides rooms with air conditioning and free WiFi. The hotel was new and well kept. I loved the staff, everyone was very friendly and accommodating. The breakfast was very nice, with dairy-free milk options, I wish there were more vegetarian options but they had a nice selection of fruits, also the cakes that are made in house were amazing! My room was a bit smaller than I thought but it was plenty of space and it was very comfortable. Located in Fortaleza, Aquidabã Praia Hotel features an outdoor swimming pool, garden and free WiFi. Featuring a bar, this 4-star hotel has air-conditioned rooms with a private bathroom. The room are new and clean, great bathroom, shower and air conditioning. Overlooking Praia do Futuro, one of the most famous beaches in Fortaleza, Gran Mareiro Hotel offers accommodations with free WiFi. The fruit was wonderful! Occasionally, the eggs were a little on the wet side for my tastes. It was a very good breakfast. Just 328 feet from the popular Iracema Beach, this guest house offers air-conditioned accommodations with free WiFi. A complimentary breakfast is served daily. The location is definitely the highlight. Offering a sauna and fitness center, Comfort Hotel Fortaleza is set in Fortaleza, 0.8 mi from Mucuripe Fish Market. It was a business trip, the location was great due the proximity to where I had to go. Located 2.7 miles from Mucuripe Fish Market, Ecco Hotel Fortaleza in Fortaleza provides rooms with air conditioning and free WiFi. The hotel was new and well kept. I loved the staff, everyone was very friendly and accommodating. 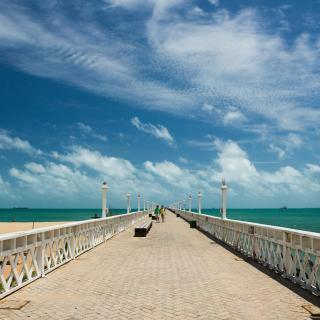 Facing Praia do Futuro´s Beach, Crocobeach Hotel offers accommodations in Fortaleza. This beachfront hotel is equipped with an outdoor pool and a sauna. The breakfast was excellent, the beaches close to the Hotel are wonderful, clean and very pretty. Located within 2.6 miles of Mucuripe Fish Market and 6 miles of North Shopping, Hotel Tres Caravelas provides rooms with air conditioning and a private bathroom in Fortaleza. I Liked that breakfast had such a large selection and that they rotated the fruit selection. This hotel is located only 656 feet from Beira Mar Avenue and from the handicraft fair in Meireles District, in Fortaleza. It features air-conditioned rooms, free Wi-Fi and private parking. Great location and the staff were very helpful! Located on Meireles beach in Fortaleza, Encontro Do Sol offers pleasant, floodlit rooms with free Wi-Fi. The hotel features an outdoor swimming pool and has a 24-hour front desk. This oceanfront hotel offers leisure activities and spacious rooms with internet access, overlooking scenic Iracema Beach. It features a pool with sea view and sun terrace and modern gym. Great location opposite the beach, literally across the road. Beautiful beachside promenade. Located on Fortaleza´s exclusive Abolição Avenue, Brasil Tropical offers a rooftop pool with panoramic ocean views. Guests can request massage services. WiFi and parking are available. The staff members were very friendly. I had a big room with a balcony and a view! Super!!! Just a few steps from Iracema Beach, this hotel features a rooftop pool and a modern gym. Meet all of my expectations and the room was quiet. Boasting an outdoor swimming pool, Pauli Hotel is located in Fortaleza. Place the pool,staff it’s super! Ibis Fortaleza Centro de Eventos is located in Fortaleza, 3.1 mi from Mucuripe Fish Market. Free WiFi is available throughout the property and free private parking is available on site. The bedroom is extra comfy, the bed is really good and the curtain really blocks the sun light. Just 656 feet from Praia do Meireles Beach, Ideal Praia Hotel offers free Wi-Fi, an outdoor pool and a sauna. Fortaleza center is 1.9 mi away and bars and restaurants are within walking distance. Just 984 feet from Fortaleza’s Meireles beach, Poyares features a pool with sunloungers, air-conditioned rooms and a TV-room. The 24-hour reception provides tour information. I made a bad decision in staying at this hotel. 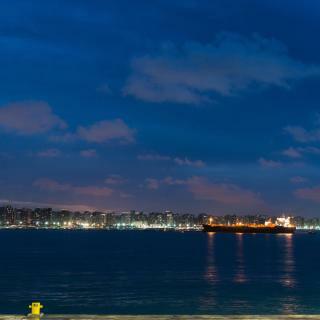 Aldeota is three blocks away from Beira Mar Avenue and Iracema Beach, along Fortaleza’s coast. The 24-hour front desk arranges airport shuttle and laundry services. Wi-Fi and parking are free. Residencial La Perla ideally lies just 1312 feet from the vibrant, blue waters of Praia Beira Mar Beach. A sun terrace is ideally positioned on the rooftop and it offers free Wi-Fi in the lobby area. Staff are very friendly, the location is great and deserve the value of money. Located in the Centro of Fortaleza, Hotel Belem Fortaleza has accommodations with free WiFi. It has a little history but everything is very clean and well maintained. 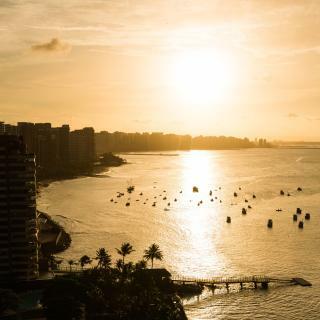 Boasting panoramic views from the balcony or terrace, Hotel Diogo lies just 164 feet from Fortaleza's Beira Mar Avenue and Praia do Meireles Beach. Featuring an outdoor swimming pool and a bar, Hotel da Villa is located in Fortaleza and is 2.8 miles from Mucuripe Fish Market. Built in 2016, the property is within 6 miles of North Shopping. Very clean, kind and helpful staff, pretty rooftop pool, good value for money. 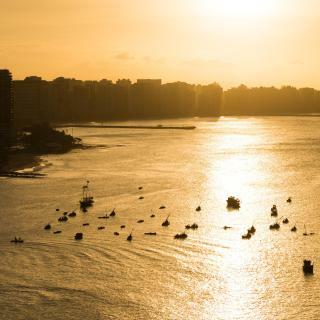 Which neighborhood is the best one to stay at in Fortaleza? 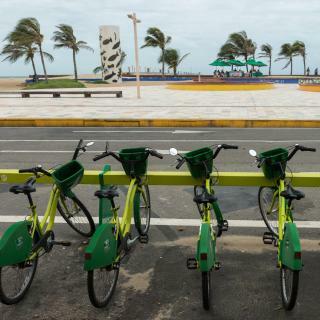 Meireles, Downtown Fortaleza, and Praia de Iracema are popular with other travelers visiting Fortaleza. Which hotels are the best ones to stay at in Fortaleza? Gran Mareiro Hotel, Hotel Luzeiros Fortaleza, and Hotel Beira Mar are some of the popular hotels in Fortaleza. How much is a hotel in Fortaleza for this weekend? The average price per night for a 3-star hotel in Fortaleza this weekend is $105 or, for a 4-star hotel, $159. Looking for something even fancier? 5-star hotels in Fortaleza for this weekend cost around $225 per night, on average (based on Booking.com prices). Which hotels in Fortaleza have nice views? Hotel Sonata de Iracema, Praiano Hotel, and Holiday Inn Fortaleza got great room view-related reviews from travelers in Fortaleza. Which hotels in Fortaleza offer an especially good breakfast? For hotels in Fortaleza that serve highly-rated breakfasts, try Hotel Gran Marquise, Crocobeach Hotel, and Gran Mareiro Hotel. Which hotels in Fortaleza are good for families? Many families visiting Fortaleza loved staying at Solar de Iracema Hotel, Pauli Hotel, and Hotel Gran Marquise. What are the best hotels in Fortaleza near Pinto Martins Airport? Travelers who stayed in Fortaleza near Pinto Martins Airport (FOR) have said good things about Hotel Montese Star, Amuarama Hotel, and Hotel Recanto Wirapuru. Which hotels in Fortaleza are good for couples? These hotels in Fortaleza are highly rated by couples: Hotel Gran Marquise, Gran Mareiro Hotel, and Hotel Luzeiros Fortaleza. How much is a hotel in Fortaleza for tonight? On average, it costs $53 per night to book a 3-star hotel in Fortaleza for tonight. You'll pay around $85 if you choose to stay in a 4-star hotel tonight, while a 5-star hotel in Fortaleza will cost around $107, on average (based on Booking.com prices). What are the best hotels in Fortaleza near Futuro Beach? Some of the best hotels in Fortaleza near Futuro Beach include Gran Mareiro Hotel, Crocobeach Hotel and Hotel Praia do Futuro. How much does it cost to stay in a hotel in Fortaleza? On average, 3-star hotels in Fortaleza cost $69 per night, and 4-star hotels in Fortaleza are $119 per night. If you're looking for something really special, a 5-star hotel in Fortaleza can be found for $156 per night, on average (based on Booking.com prices). The 5th largest city in Brazil, Fortaleza has beautiful beaches and is a well-known party destination for both Brazilians and foreigners. Busy nightlife and a growing number of restaurants and activities leading up to the 2014 FIFA World Cup make this city an ideal retreat. Discovered by Spaniards, colonized by Portuguese and also briefly by the Dutch, Fortaleza is a vibrant city and capital of the Ceará State. The city’s identity is strongly marked by the writer José de Alencar, who, with his novel Iracema, inspired names and statues spread all over Fortaleza. 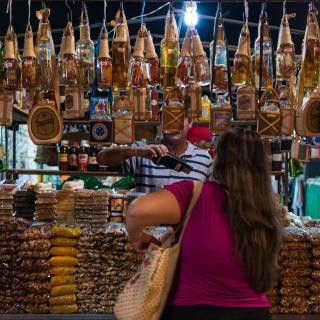 Enjoy the typical Forró music and dance, walk along Beira Mar promenade, and eat in one of the popular barracas shacks. Don’t miss the old colonial buildings, like the José de Alencar Theater, Fortaleza's Cathedral or the Forte de Nossa Senhora da Assunção. You can find 5-star hotels in Fortaleza, as well as small pousadas. Fortaleza hotels are concentrated mainly around the area between Praia de Iracema beach and Mucuripe, along Beira Mar Ave.
Before arriving at Pinto Martins – Fortaleza International Airport, check out the Fortaleza hotel deals on Booking.com! Beautiful city, great beaches, very warm and welcoming people! Always something fun to do! Loved going to Praia do Futuro, specially the Restaurant ' Crocobeach' which is more like a beach club! Varied cuisine, pools, kids entertainment, the beach itself... plus, they don't charge for the usage of anything, just what you eat/ drink!!! The '50 sabores' ice cream shop is also a must go! A huge variety of Delicious ice creams! Big city, walk by the avenue in front of the ocean, they say there you will be safe. It is well iluminated at night. Visit Beach Park, a water park by the beach 23 km from Fortaleza, where you can also stay - they have a resort there. Nice place for kids. Lots of fun. Tudo que tem pra fazer em fortaleza é praia do futuro e museus, de resto bofe precisa levar dinheiro pra passear nos arredores onde estão as melhores praias, leia-se menos poluídas pois as praias da cidade são impróprias para banho. A cidade está abandonada, cheia de lixo e de jovens drogados por toda parte literalmente jogados pelas calçadas. Quer uma dica? Vá direto para Aquiraz e se hospede lá. O Beachpark é um sonho e tudo que você precisa terá por lá. The city is very poorly maintained. The city is very poorly maintained. Sad to say that they are not taking advantage of the nature beauty. Few options for dinner with international quality foid/ drinks beyond tipocal local food. Not safe for night walks/ sightseeing. 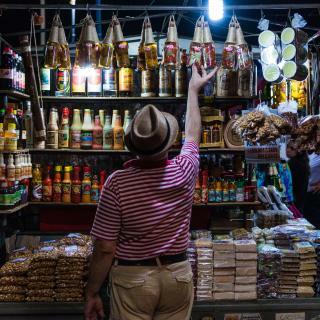 We always stay in Fortaleza for about three nights as we have to do a lot of shopping as we go elsewhere and settle down for about four months. It's a very friendly city and the people are very nice. O apartamento é limpo e com tudo o que vc precisa. O melhor é que é um lugar bem tranquilo, sem barulho e o barrio é seguro. O dono Enrique é galera muito legal! The apt is clean, quiet and with all you need. The area is one of the safest in Fortaleza. The owner, Enrique is very easy going and polite! The hotel is very close to the airport, and the owner was very helpful with everything we needed. She called a taxi for us early in the morning to take us to the airport. Good value for the price. Location is perfect. Staff is helpful. Swimmingpool was great. There is a busstop 100 meters away. Next time when i am in Fortaleza i will stay here. The room, the view, the service. Breakfast was fantastic! The people are very friendly. I would truly recommend the hotel. Within the hotel it was wheelchair accessible although stiimg at some tables was difficult in a wheelchair. very close to Airport. If someone take midnight flight from Fortaleza Airport, This place is good option. I made a bad decision in staying at this hotel. The hotel is close to the beach.